The downtown area of Minneapolis is one full of cultural diversity and educational history. The campus of Minneapolis Community and Technical College (MCTC) which is located in the middle of downtown is a prominent part of the diverse area. MCTC is the result of the merger of two institutions: a technical college with a long history of vocational education dating back to 1914 and an open-enrollment community college established in 1965. 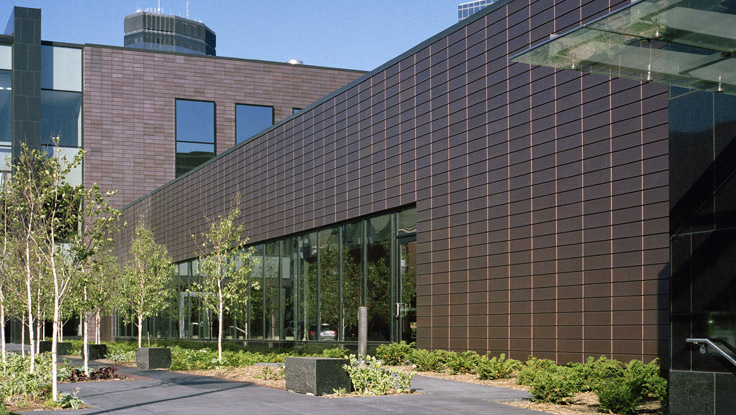 Currently, the spacious campus covers 21.6 acres of land in the heart of downtown Minneapolis. This public two-year college enrolls over 13,000 students annually and is an active partner in initiatives designed to strengthen the social, economic and cultural vitality of the Twin Cities metropolitan area. The campus expansion plan included the use of existing buildings in the downtown area. Many of these buildings were dated and did not reflect the forward thinking nature or focus of the MCTC campus. MCTC wanted to revitalize these existing buildings, which were brick and CMU construction with no insulation and very limited natural lighting. The architects from Architectural Alliance were contacted to develop a plan to reclad this building using this directive. 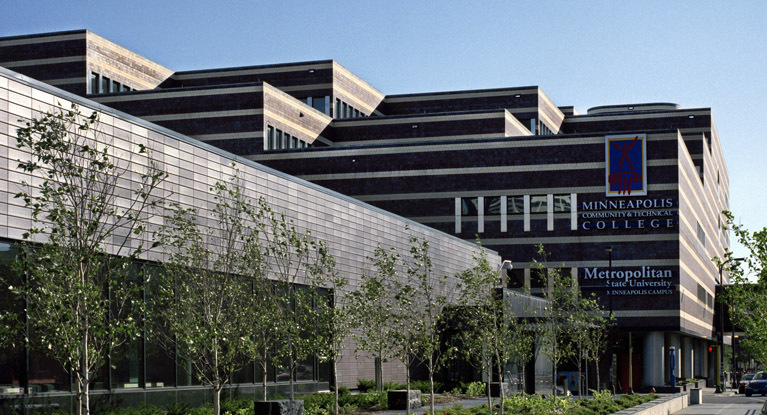 Architectural Alliance set many goals in order to realize MCTC's modern approach to the building aesthetic. The challenge with the existing building was its limited natural light, lack of exterior support structure and energy saving control layers. In addition to the engineering issues, there was the challenge of keeping a consistent look with the surrounding area while still bringing an innovative design solution to the outside of the building. Architectural Alliance collaborated with NBK to find solutions to all these goals. Working closely, they developed an engineered system to fit over the existing 12,000 square-foot building. 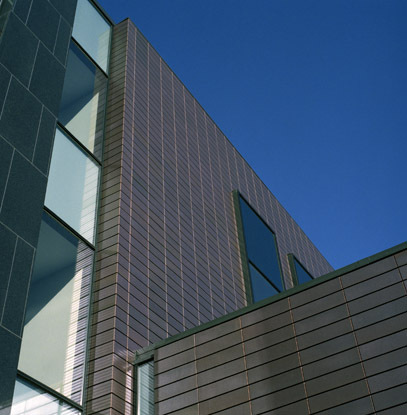 By adding additional structural support, a terracotta rainscreen system could be incorporated. This strategy produced significant environmental benefits. 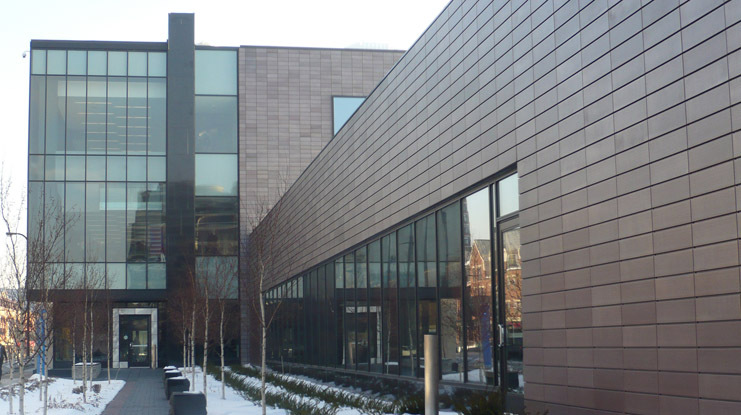 Unlike the previous brick and CMU structure, the use of natural air-pressure equalization to keep moisture away and the addition of continuous exterior insulation provided significant energy benefits to the building. The improved structure also allowed adding 3" of continuous exterior insulation, windows, and ventilation cavities to protect against mold/mildew problems. 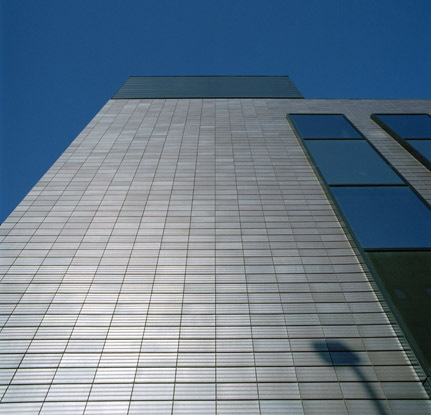 The change in design of the facade to a rainscreen system allowed for all the environmental performance and engineering goals to be accomplished, allowing Architectural Alliance to focus on the modern aesthetic effect desired. Architectural Alliance's key design goal was to create something unique, but assure that it blended with the rest of the campus. NBK terracotta offered the only solution that allowed the design team to preserve the current campus aesthetic while still introducing a renewed, modern feel. Architectural Alliance collaborated with NBK to develop custom finishes and profiles that dialed in the exact balance between old and new that they needed. 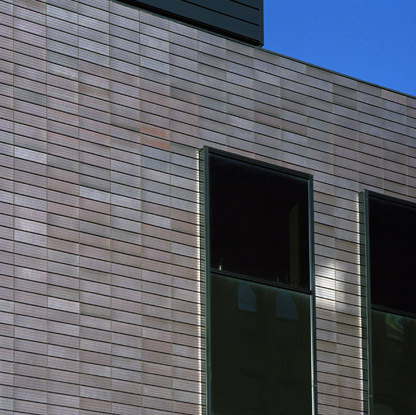 After a series of custom samples, Architectural Alliance selected two custom profiles (flat and scalloped) and a reduction-fired terracotta. The reduction-fire tile, exclusive to NBK, offered deep and iridescent tones that reacted with light throughout the day. While the building has met its environmental and aesthetic objectives, its ultimate success comes from the students who now use it. Students are allowed to reach individual dreams and take full advantage of learning opportunities that prepare them to live and work within the community MCTC is fostering.